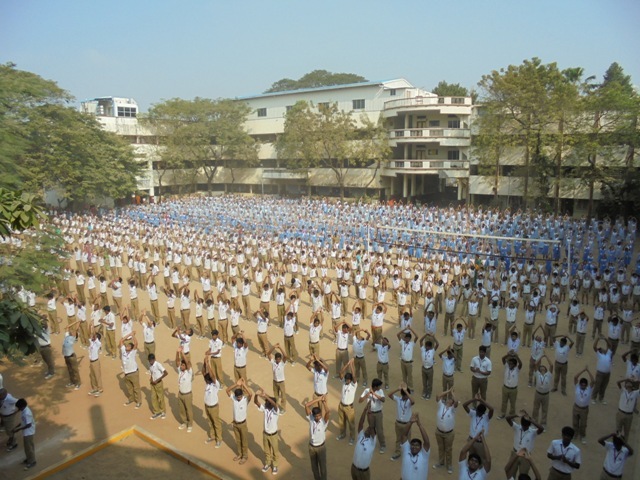 Surya Namaskar was performed in the morning assembly. Students from I to XII Std, teachers and parents performed Surya Namaskar from 27.01.2017 to 03.02.2017. To promote fitness of Health & Mind, Yoga plays a primary role. To inculcate this special feature Surya Namaskar is performed. From 08.02.2016 (Monday) “Thai Amavasai” Surya Namaskar Yagna commenced. Students from III to XII Std. 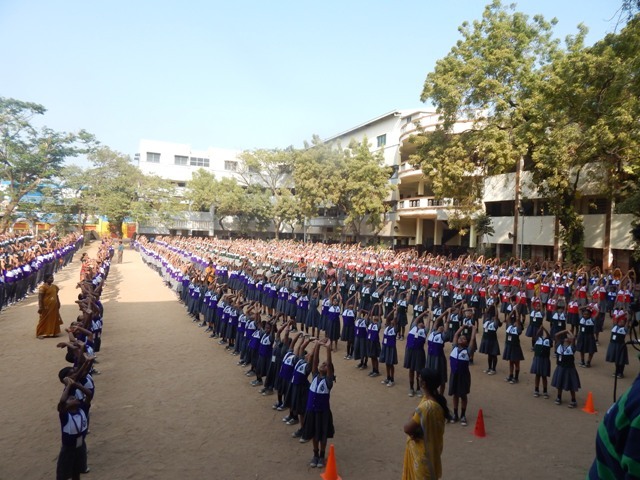 performed Surya Namaskar in the morning assembly. I and II Std. performed in the evening. Parents and teachers also took active participation. 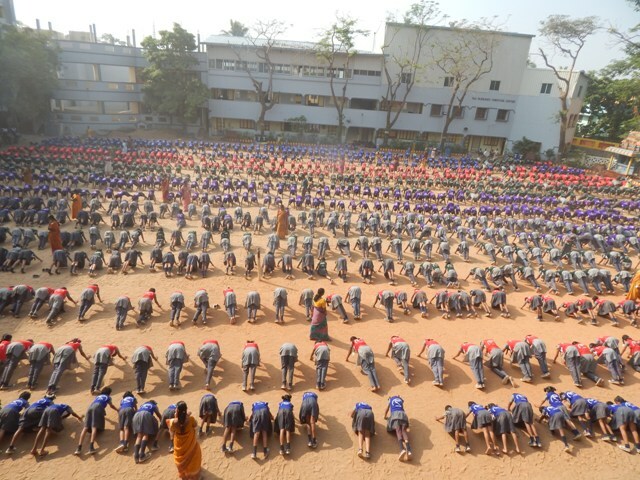 Apart from our school 300 students of Sinthea Model School, Korattur performed Surya Namaskar. Our P.E.T Sri. 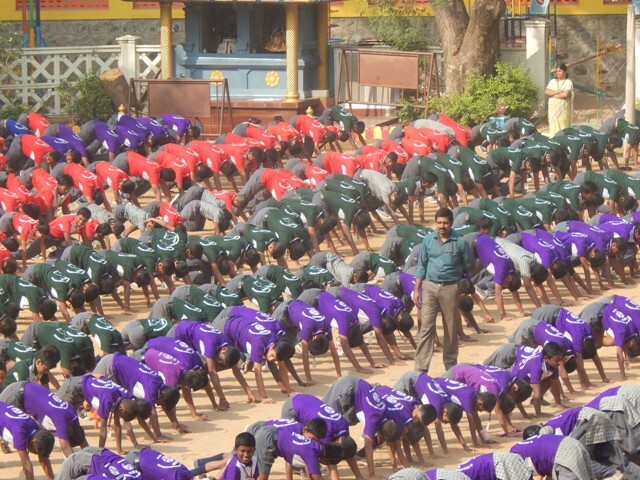 Manoharan and two students went to Sinthea Model School and guided them to perform Surya Namaskar. On 14.02.2016 (Sunday) Ratha Sapthami Day was celebrated in our school. VES Shareerik Co-ordinator Sri. S. Jegathala Pratapanji and our school SMDC member Sri. Janakiramanji graced the occasion. The programme commenced with the invocation to the God Almighty. This was followed by rendering of the significance of the day. Sri. B.S. Janakiramanji , SMDC member addressed the students and told them about the importance of Ratha Sapthami and the benefits that we obtain from performing Surya Namaskar. Sri. S. Jegathalaprathaban, Sports Co-ordinator spoke about the main goal of Kreeda BharathI and Vidya Bharathi. The programme came to an end with Santhi Manthram.